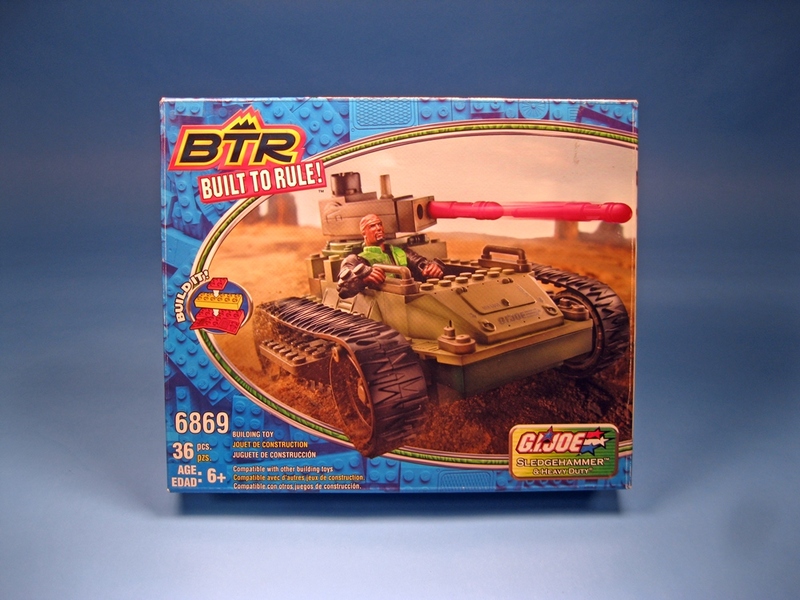 The Built to Rule Sledgehammer, available as part of the second series of BTR sets in limited release in 2004, is a new design with a new name. 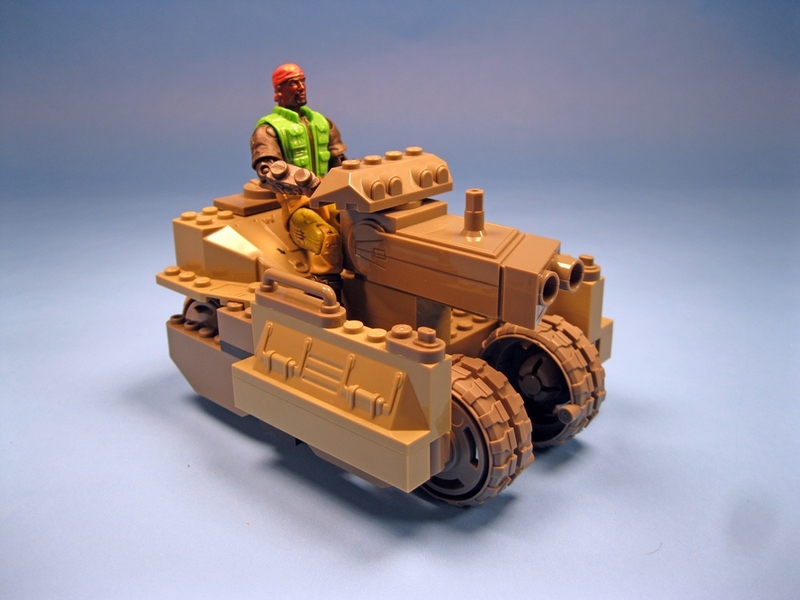 In its primary mode, the Sledgehammer is a low-slung one-person mini-tank with working treads, an armored body, and a dual missile launcher with an articulated “remote” swivel mechanism. The Sledgehammer is part of the tradition of G.I. 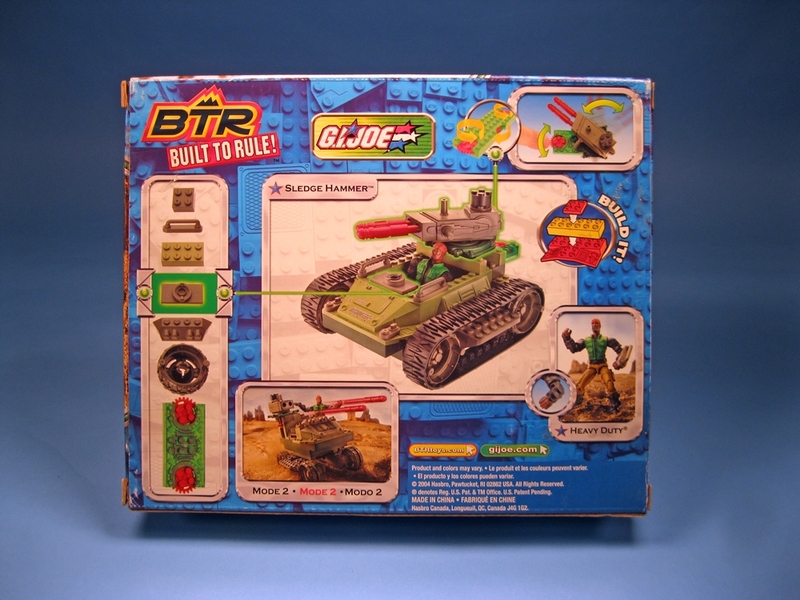 Joe mini-tanks such as the 1985 Armadillo, the 2003 Road Rebel, the 2004 Neutralizer, and the 2013 Tread Ripper. 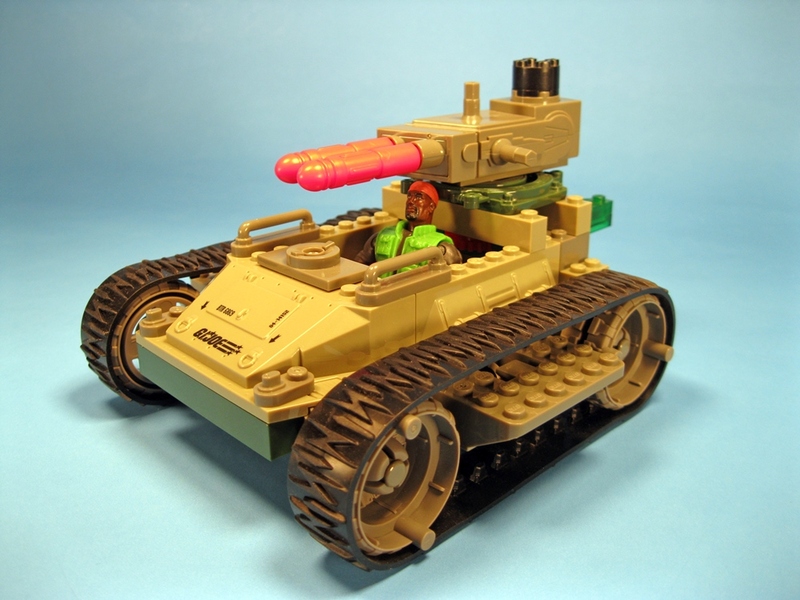 The included figure is heavy ordnance specialist Heavy Duty. 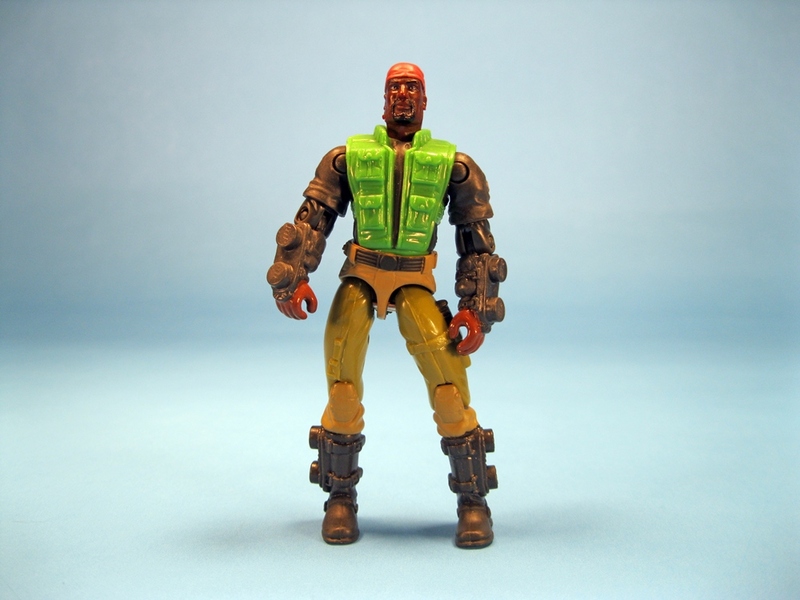 Built in the O-ring style typical of most of the BTR figures, his head is based on his 2003 Spy Troops appearance and his body is a re-use of the BTR Hollow Point figure. 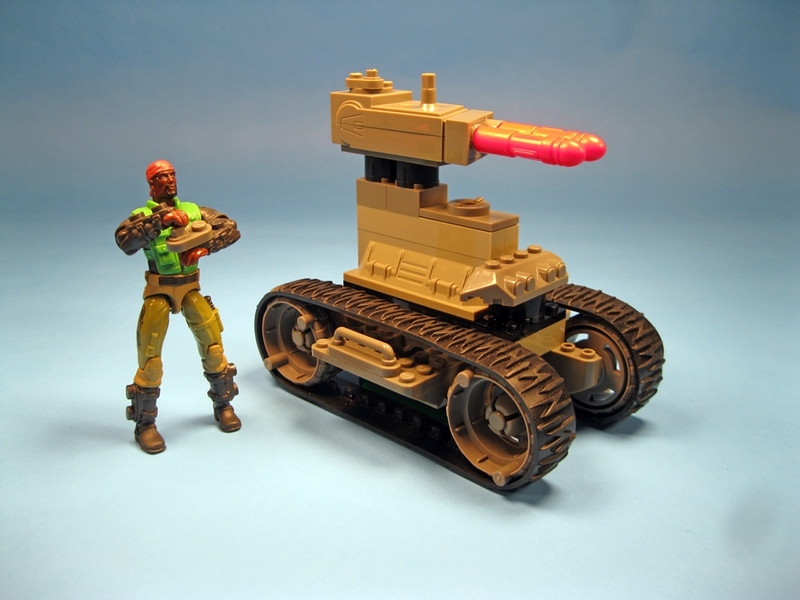 As a series 2 release, the Sledgehammer’s secondary mode is given no name. 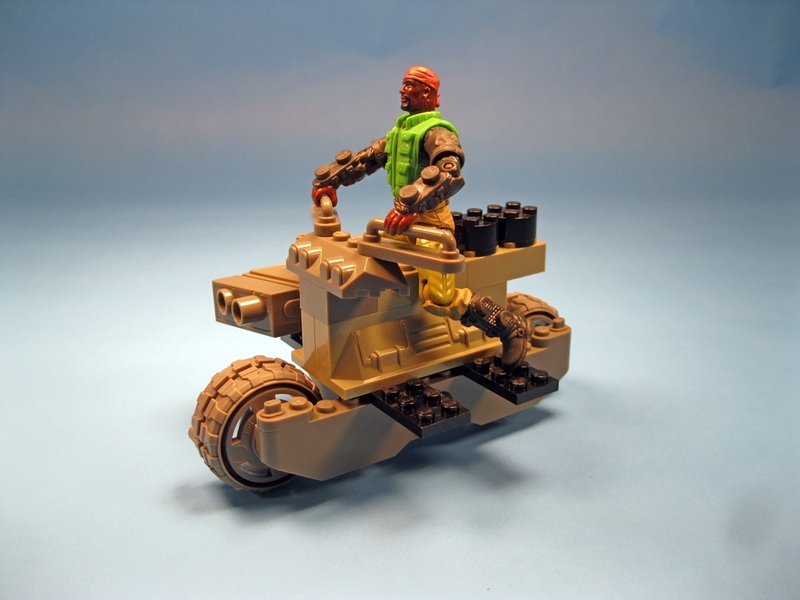 This mode foregoes the treads and features a more vertical design with a higher profile. 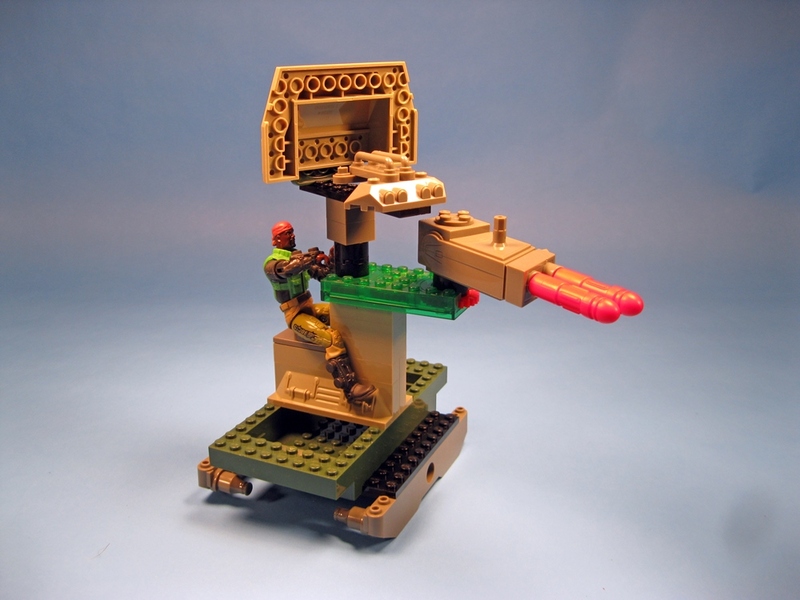 The Sledgehammer’s only weapon is a double missile launcher unique to the set. 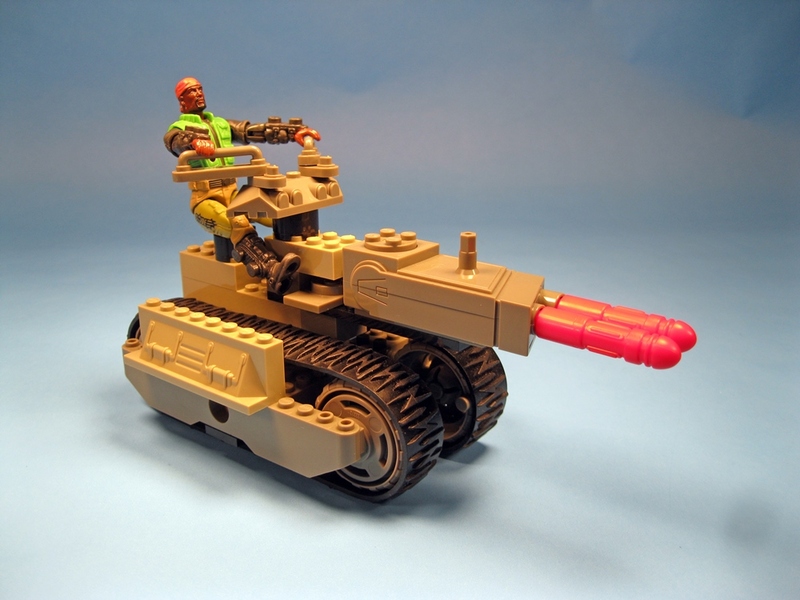 The spring-loaded missiles can be launched sequentially by rotating a round plate on top. Turning the wheel on one end of the geared platform swivel piece turns the wheel, and anything attached to it, on the other end. 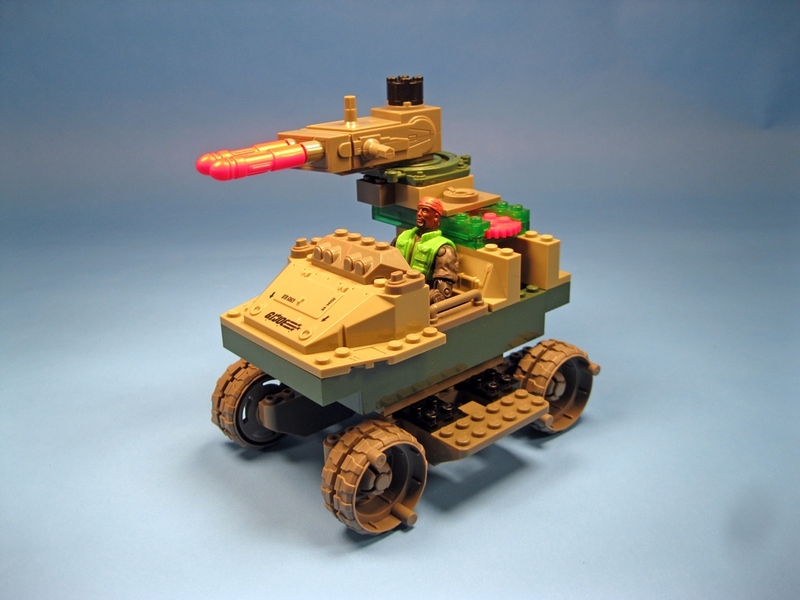 Some of the notable parts from the Sledgehammer include the green sloped armor piece, the green side wall pieces, and the grey missile launcher. While not unique to the set, the grey detail parts based on rounded 1×2 and 1×4 plates offer useful bits of detail in a neutral color that is compatible with almost all of the sets. Lacking a large number of outrageously colored pieces, the consistent and cohesive colorway of the Sledgehammer’s parts lends credence to even fairly unusual creations. The black rubber treads and the grey axle platform pieces are also unique to the Sledgehammer. You could have a bumper car bumping! This amusement never ends! !